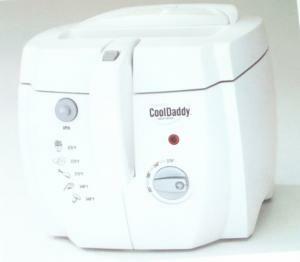 This cool touch deep fryer will easily fry up to six big servings of food. An exterior handle allows you to lower food into the hot oil with the cover closed to prevent spattering. The locking cover prevents spatters and reduces odor. Extra large viewing window lets you supervise frying without opening the cover.